Brent Petty joined the consulting field in 2015 after serving 12 years as System Vice President, Supply Chain for Wellmont Health System, Kingsport, TN. 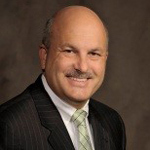 Brent served as 2015 Chairman of the Board of the Association for Healthcare Resource Materials Management. (AHRMM). He earned his professional designation as a Certified Materials Resource Professional (CMRP) through the AHA Certification Center, a division of the American Hospital Association. 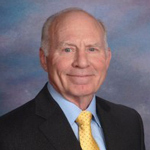 Gary Gustafson is President of Preferred Marketing Programs, a consulting and training company. Prior to PMP, he founded and managed the Association of National Account Executives (ANAE). Gary has an extensive background in sales management, marketing, and national accounts with major medical device companies. He served a two-year term on the Board of Directors of the Healthcare Industry Supply Chain Institute (HISCI).